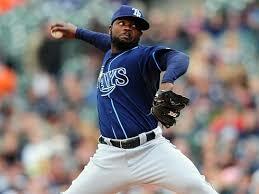 SAN DIEGO - The San Diego Padres have offered veteran reliever Fernando Rodney to a 1 year contract at 1.5M pending physical. Rodney will replace Craig Kimbrel in the Padres Bullpen. Rodney has 236 saves in 13 big league seasons with the Tigers, Rays, Angels, Mariners and Cubs.